"UpdatesCentral helps us advertise our own challenges, improve lead quality, and keep the revenue from each sale. It's been a HUGE success." 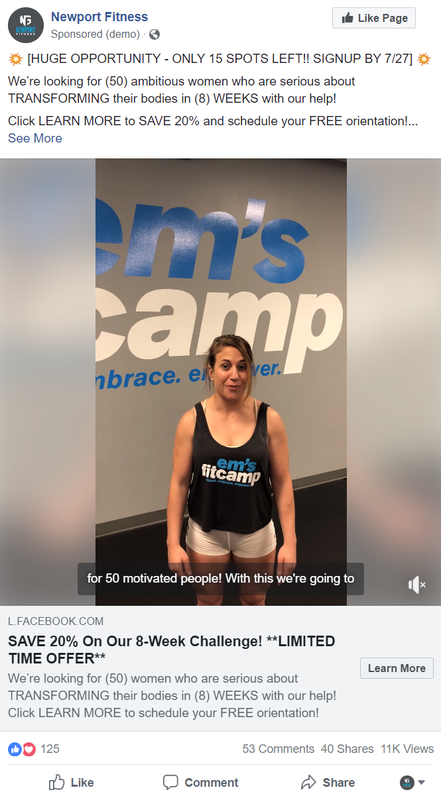 ​allowing NewCov CrossFit to offer "Em's FitCamp 8-Week Challenges" and retain all sales. UpdatesCentral split tested a series of campaigns to find a top performer. Using both landing pages and Facebook Lead Ads with various creative formats, a top performer was identified and scaled within the first week of Emily's service. Paired with on-demand advertising support, UpdatesCentral also provides daily updates for Instagram and Facebook. a nearly 10X (immediate) return on her investment.